This poster was made for Lithuanian artists Nomeda and Gediminas Urbonas. 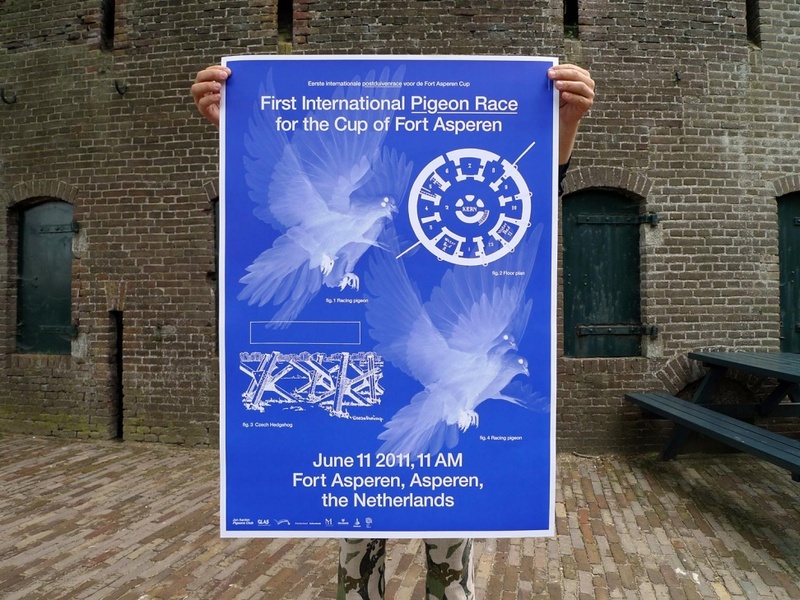 It announces a pigeon race, an event that took place as part of their exhibition at the 52nd International Art Exhibition at the Venice Biennale. The poster was part of the exhibition Too Late, Too Little, (and How) to Fail Gracefully, curated by Bik Van der Pol at Fort Asperen in the Netherlands in 2011. The poster itself is recalls the original posters we designed in 2007. The blue print optic reflects the spatial component of the exhibition venue, a fortress.